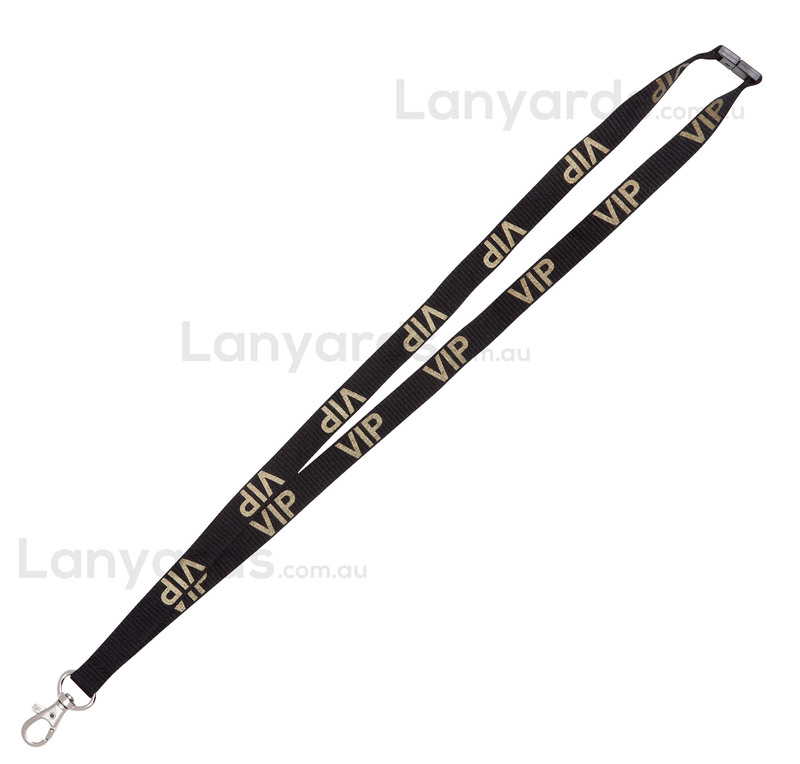 VIP Gold Lanyards are 15mm polyester ribbed lanyards with the letters VIP already printed in gold lettering. These are carried in stock and are a great option if you have left things to the last minute or if you just need a smaller quantity and can't get them personalised. They come with a trigger hook to attach your card holders and a safety breakaway at the back for OHS.